I did my high school at Ecole Powerview School and have been enrolled in Brandon University since 2005. 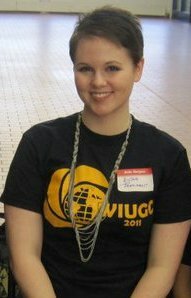 I was the President of the Western Inter-University Geosciences Conference Planning Committee 2011, hosted by Brandon University this January. I volunteered at an eco-science camp for junior high students to teach them about the environment. I have been a member of the Brandon University Geology Club since 2008. Tell me about yourself / your background / your history. I grew up in Yellowknife, NWT and have lived in Manitoba since 1999. Since entering the geology program, I have been involved in student activities and the Geology Club. I was the president of the Western Inter-University Geosciences Program Planning Committee 2011, which was hosted by Brandon University in January of this year. During my summers I have worked as a counsellor at Camp Wannakumbac, and for the Manitoba Geological Survey, and in the mining industry. I’ve always had a strong interest in the sciences. I started out as an environmental science major but quickly switched to geology. I was interested in the many applications geology has to everyday life and the various career opportunities. I believe that you should always be open to new things, because if you’re too focused on a specific plan or goal then you’ll end up missing out on too many opportunities. I hope to further my career in the mining and mineral exploration industry. I hope to be able to take advantage of opportunities to travel and take interesting jobs as they arise. Jessica Dutka is a hard-working and devoted student to Geology. She has great interpersonal skills and in addition to a good academic standing, she was a successful interview candidate for a job in her field of Geology exploring for gold working in industry at Sangold Corporation for the summer of 2010. 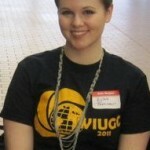 She was also the lead on the student held “western inter-university geology conference – WIUGC” held here in Brandon in January 2011 with students in attendance from Alberta, Saskatchewan, and Manitoba. This conference was spear-headed by Jessica and they were able to raise over $30,000 making the conference a great success! We look forward to seeing Jessica pursue a successful career in Geology.